The lone U.S. Department of Energy employee in Alaska is turning his attention to small-scale hydropower projects that could help rural communities burdened with high energy prices, including three Northwest Alaska villages. 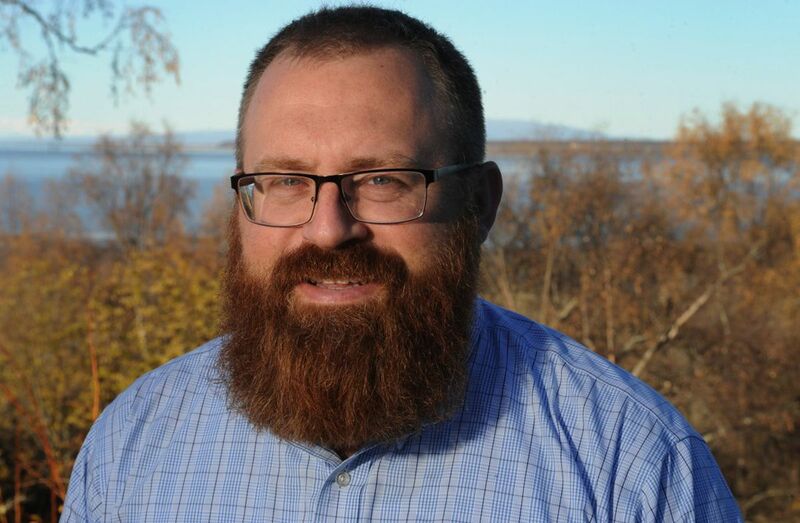 As Alaska program manager for the Office of Indian Energy, Givey Kochanowski is working to unite resources across the United States and Alaska to support energy development and efficiency programs across the state. With Alaskans facing some of the nation's highest energy costs and heavily dependent on diesel fuel to generate electricity and heat, the agency can play a big role in Alaska. U.S. Energy Secretary Ernest Moniz, while visiting Southwest Alaska in February, said Alaska is a place where the agency is "working on a whole bunch of novel things." Moniz said then that he would add three Energy Department employees to the Indian energy office in Alaska this year to provide communities with engineering, technical and financial assistance. But that hasn't happened yet. Sen. Lisa Murkowski, R-Alaska, is pressing Moniz to complete that commitment he made in Bethel at a field hearing of the Senate Energy and Natural Resources Committee, saying the agency can play a role in reducing energy costs in Alaska. "(The hiring process) remains underway, although no hires have been made to this point," said Nicole Daigle, communications director for the committee, chaired by Murkowski. Among the benefits the agency provides to communities nationally are preliminary data that would suggest the costs and benefits of a project and other technical project reviews. That assistance can lead to funding from the private sector or government agencies, Kochanowski said. The Alaska office, less than three years old, has paid for solar and wind energy projects in some rural communities, and worked on natural gas opportunities for tribal governments. It may provide technical assistance to Ahtna, such as helping develop a business plan to support the Alaska Native corporation's attempt to produce natural gas from a well being drilled near Glennallen. Now, Kochanowski said in a recent interview, the Alaska office plans to increase its attention and technical support for small hydropower prospects. With thousands of rivers, streams and coastal areas that could possibly provide energy for dozens of communities, the potential is huge, he said. "This is a first step of bringing together tribal interests and hydropower up here," he said. A key goal is creating an online decision-making tool to help communities determine if potential projects in their backyard are economically viable. The effort would combine water-flow information, project-cost estimates, and other data from the Alaska Energy Authority and the federal agency's Oak Ridge National Laboratory, he said. The project could allow a village, for example, to quickly make a "go or no-go decision" about whether it should pursue a hydropower project, said Kochanowski, based in Anchorage. "The plan ultimately is to have the Oak Ridge laboratory do more work up here," he said. "They have analysis tools that we can use in partnership with state data to hone in on highly probable sites." The review could help communities secure public or private funding, said Sonny Adams, director of alternative energy with NANA, the Alaska Native corporation in Northwest Alaska. It could be useful for Kobuk, Shungnak and Ambler, three villages that several times over the last decade haven't received fuel barges because low snowfall has reduced water in the Kobuk River, he said. Instead, the villages have hired planes to haul in fuel, sharply boosting energy costs. A positive review from the Department of Energy and the state could boost the prospects for a run-of-river project — not a dam — that has been studied to provide lower-cost energy for the villages, Adams said. The project would divert a portion of the river through pipe to a turbine where electricity would be produced. The water would be returned to the river. The plans call for connecting the three communities with a mini-grid of power lines to reduce costs. NANA has studied stream flow and found that the Kogoluktuk River, a tributary of the Kobuk, has good potential, Adams said. But some helpful next steps would be creating a business plan, and refining the project's estimated $35 million cost with additional design work. "They could come in and say, 'This looks great, you guys should do a public-private partnership to make this happen and here's why,' " Adams said. The extra attention comes as funding for hydropower projects has fallen in Alaska, as the state government grapples with a massive budget crunch that has wiped more than $12 billion from savings since 2013. The Legislature has not provided new funds for hydropower projects in Alaska for the last two years, a trend that is expected to continue, said Daniel Hertrich, project manager for hydroelectric programs at the Alaska Energy Authority. "We no longer had the funding we had before, so how do we make development work? We identified there's a gap in need, and we're trying to come up with a solution," Hertrich said. Hydropower provides about 25 percent of the state's energy demands, with most of that produced in rain-rich Southeast Alaska. But there is "tremendous capability" for new projects in Alaska, Hertrich said. Hydropower projects can pay off over the long run because of their stable costs, especially in rural communities that import diesel fuel with its volatile prices, Kochanowski said. "Fuel prices will go back up, and when they do people will kick themselves saying, 'Why didn't we build these when fuel was cheaper and shipping was cheaper?' " he said.